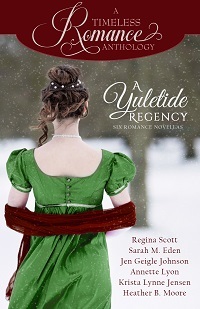 Celebrate the holidays with six brand new Regency romance Christmas novellas by Regina Scott, Sarah M. Eden, Jen Geigle Johnson, Annette Lyon, Krista Lynne Jensen, and Heather B. Moore. In Regina Scott's "Always Kiss at Christmas," Mary Rose has one goal for her mother's annual Christmas Eve party: convince her childhood friend Julian Mayes to marry her. With her mother wasting away and the doctor refusing to deal with a young lady like Mary, she needs the power of a husband. She has always admired Julian. Surely one moment under the kissing bough will convince him they were meant to be together. Newly hired by a prestigious London law firm, Julian Mayes is ready to shake the dust of the countryside off his polished boots. But he's always had a soft spot for Mary. As the danger to her future becomes clear, will one kiss be enough to prove to him how far he will go to protect her? 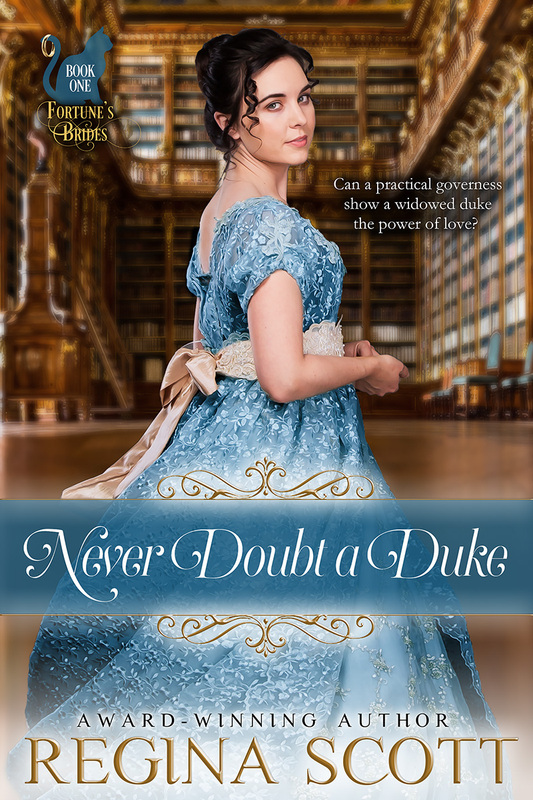 This sweet, clean Regency is a prequel to the Fortune's Brides series and tells the story of how Meredith Thorn and her beau Julian Mayes fell in love amidst the wonder and beauty of a country Christmas. If she couldn't win an offer at Christmas, there was no justice in the world. Mary Rose tied the final red satin ribbon on the kissing bough and stood back with a nod of satisfaction. Mr. Cowls, their grey-haired butler, pulled on the chain, and the circular evergreen bough climbed with the brass chandelier until it was high overhead, framed by the white of the entry hall ceiling. "Very nice," her mother said from her wheeled chair at the foot of the stairs. "I'm certain Mr. Godwin will approve." Mary kept her gaze upward. It didn't matter whether Chester Godwin or any of the other friends, neighbors, and family expected for her mother's annual Christmas Eve party approved of her efforts. She didn't even care if Julian Mayes approved. All she needed was for him to stand under the bough long enough for her to kiss him. Surely one kiss would convince him that they were fated to be together. Everything had been planned to that end. She'd arranged for the guests to be greeted in the entry hall rather than on the front steps so she'd have a chance to address him directly. She'd asked Cook to bake gingerbread, one of his favorites, and the rich scent wafted through the house even now. She'd worn her best winter dress, a white velvet trimmed in swan's down, which called attention not only to her curves but also her raven hair. And now the kissing bough was as ready as she was to see this done. "Mary?" her mother murmured. "You will be kind to Mr. Godwin, won't you?" As Mr. Cowls hooked the chain against the wood-paneled wall, Mary went to join her mother. It seemed every morning Mama looked a little thinner, paler. She had tried to hide her malady today by having her maid curl her greying hair into fashionable ringlets around her face and wearing one of her brightest gowns, a ruby velvet with white lace at the neck and puffed sleeves. But Mary saw the changes. "She's wasting away," she'd told the local physician. "Can nothing be done?" "Nothing that need concern you," Doctor Parkins had said, patting Mary's shoulder. "A pretty young lady like you should be focused on balls and teas." If he truly thought such trivialities more important than her mother's health, he must consider Mary's head to be distressingly empty and her character singularly flighty. Yet no matter how severely she dressed for his visits, no matter how straight she stood and how directly she engaged him, she had not been able to disabuse him of the notion that she was too young and untried to be involved in her mother's treatment. He wasn't the only one. Her father's will gave guardianship to an old friend of the family, but the aging Lord Farley always said he had complete faith in her mother and saw no need to intrude on their domestic arrangements. Mary had tried writing to him; his return letter merely reassured her she had no need for concern. The vicar in the nearby village of Weyton said the same. They were all mistaken, but they would not listen to her. She had observed that only three things gave a woman standing here in Surrey: age, consequence, or marriage. The first two were denied her; she could not make herself older or elevate her family's standing. But when she married Julian, she would be the wife of a rising solicitor. Then the physician would have to listen to her, for fear of her husband if nothing else. "I will be considerate of all our guests, Mother," she promised her now. "I want this Christmas to be perfect." Her mother's lavender-colored eyes, so like her own, glistened with unshed tears. "So do I, dear." She held out a hand, fingers cramped by her illness, and Mary took it gently. How brittle, how fragile. 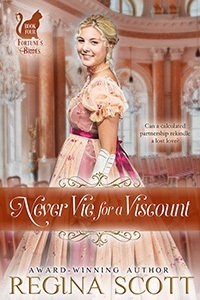 She had to convince Julian to marry her, for her and her mother's sakes. But Julian was not among the first guests to arrive that afternoon. Her mother had had Mary send invitations to their neighbors-the Mayes to the north, the Garveys to the west, the Godwins to the south, and even the mighty Duke of Wey to the east. Friends Mary had made at the finishing school from which she'd recently graduated were also invited, as was her odious cousin, Nigel. "He is family," her mother had replied when Mary had protested. And so, God willing, would be Julian. Perhaps because Nigel was the last person she'd hoped to see, he was the first to arrive. Short and fleshy, with tiny dark eyes and a pursed mouth, he tended to walk quickly, fingers curling and uncurling, as if always reaching for something beyond his grasp. Mr. Cowls ushered him into the entry hall and accepted his greatcoat with barely a twitch of his long nose to show his displeasure at handling the worn, stained material. Nigel was less kind. "That wood wants polish," he proclaimed, eying the Jacobean paneling instead of Mary's mother, who sat ready to greet him. "And there's a stone missing from the bottom stair outside. This house looks more ruinous every time I see it." "Then perhaps you should see it less often," Mary said. He turned to Mary with a frown, as if he could not decide whether she'd intended to insult him. "What my daughter means," her mother said in her soothing voice, "is that if you visited us more often you might come to love Rose Hill as much as we do." "Alas, I am terribly busy," he said with a sniff from his bulbous nose. "My current circumstances do not allow for a life of luxury." He turned his gaze to her mother at last. "And how are you, Mrs. Rose?" "Quite well," Mary said before her mother could answer. "We have hopes Mother will live to see her grandchildren and great-grandchildren play at Rose Hill." His smile barely lifted his pudgy lips. "How . . . charming." Her mother reached out and squeezed her hand. It was a warning to behave. Some in the area considered her too proud, too confident because she was tall enough to look them in the eye for all her mere sixteen years. She'd heard the comments after services and at the assembly. That Mary Rose, so outspoken. I fear she's been terribly spoiled. Nigel likely agreed. She was just glad the knocker sounded then, forcing her cousin into the great hall on their right so they could greet the newcomers. Who were also not Julian Mayes. Mary smiled and curtsied and nodded to welcome various guests who arrived over the next half hour. Most had known her family for years and were quite solicitous of her mother. Even Dr. Parkins wished her well, even though his look was assessing. The only other person who gave her any trouble was Chester Godwin. They had associated as children, but since he had gone off to Eton, he had decided he was far too sophisticated for the Surrey countryside. His amber-colored hair was cut short on the sides and left longer on top to curl over his brow. His shirt points were so high they likely poked his ears. He walked with the mincing gait of a dandy, wasp-waisted coat boasting improbably broad shoulders and calves suspiciously bumpy in his white stockings. If he wasn't careful, he would spend his entire fortune on padding. "Mrs. Rose, Miss Rose," he greeted them with the barest of bows, likely because his tight clothing prevented them. "How kind of you to rescue me from the sea of boredom that is Surrey in winter, or any other time of the year actually." He smiled as if he'd been particularly witty. "We would not dream of entertaining without you, Mr. Godwin," her mother assured him. "In fact, I believe Mary planned the decorations with you in mind." She glanced up at the kissing bough. Mary's stomach dropped. Kiss Chester? No, no. That was assuredly not the plan. She needn't have worried. The high collar on his coat prevented him from looking about. His gaze reached no farther than the swag of evergreens on the landing behind them. "Ah, yes. Very pretty. But then, so is Miss Rose." "You must see what we've done with the hall," Mary said, pointing him in that direction and giving him a little nudge. He wandered off. "You said you'd be kind," her mother scolded. "Trust me, Mother," Mary said. "That was kind." Among the last to arrive was her friend Lady Eva. They had met at finishing school, where the beauty had taken first in every course. 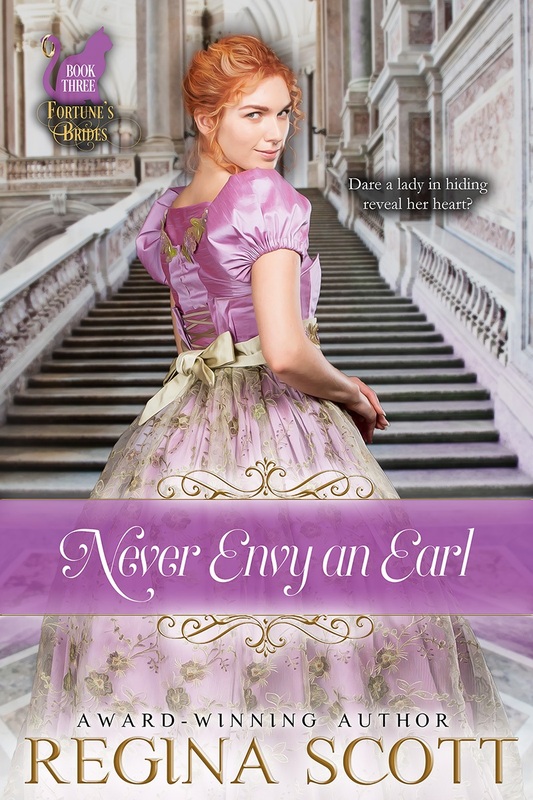 The daughter of a duke, Lady Eva had pale hair that glimmered and blue eyes that shined. Today her slender figure was draped in cerulean velvet trimmed with ermine. As Cowls helped her chaperone with her wrap, Lady Eva took both of Mary's hands for a squeeze. "Thank you for inviting me. Things have been so busy since we left school. I have missed our talks." "I don't know how much time we'll have to talk," Mary confessed as her mother greeted the round-faced little chaperone. "But I wanted to wish you happy in person. To think, you'll be marrying the heir of the Duke of Wey!" Lady Eva's smile was as cool as her looks. "Yes. Some consider him quite the catch. Find me later." With another squeeze, she turned and led her chaperone into the hall. Mary's mother sighed, shoulders sagging as if she'd endured much. "That should be all of them. Would you wheel me in, Cowls, so we can start the festivities?" Mary caught her breath. The time for greetings had ended, and he hadn't come. Why? Laughter rang from the great hall. Her guests expected her to lead them in the games and activities planned for the day and evening. How could she leave this spot? She hadn't caught Julian. "I believe there is one more, madam," Mr. Cowls said, standing with his head high by the door. As if in answer, the knocker sounded on the big front door. Her mother nodded to their butler to answer. Mary clasped her hands together to keep them from shaking. It had to be him. She'd worked too hard, prayed too long, for it to be anyone else. Mr. Cowls swung open the door, and winter's wind swirled through the entry, sending snowflakes dancing. As if borne on their wings, Julian Mayes stepped into the house. Under a top hat touched by white, his red-gold hair that curled naturally around his handsome face. Warm brown eyes welcomed all he saw. Those shoulders and calves required no tailor's art or artifice for improvement. He moved with a grace that said he feared no one and nothing. He was, all in all, perfection. Mary drew in a breath and stepped forward to meet her future. He was late. Fashionably late, his friends at Eton would have teased him. In some circles, he would have been praised for the trait-such ennui, such polished sophistication. He'd certainly cultivated the veneer. When one was only the son of a country squire, one needed something to stand out against all those titles, that wealth. Yes, he could have strolled insouciantly into the hall as if he owned the place. Only it was Mrs. Rose and Mary, and they deserved better. He almost hadn't come. His parents had been unwilling to brave the snow. They were getting on in years now. And it wasn't as if he and Mary were the friends they'd been as children. It had been months since he'd last seen her. That hadn't stopped his mother from adjusting his top hat before he'd left the house. "May I hope for good news?" she'd asked, brown eyes eager. "I am in no position to seek a wife, Mother," he'd reminded her. Her mouth had dipped, but he could not satisfy her longings. A fellow ought to be able to offer a lady a home, an income to support it. He had only just landed an apprenticeship with a highly regarded solicitor in London. And while he had always enjoyed Mary's company, she was several years his junior, having only recently left the schoolroom. Surely she had plans for her debut in London this coming Season. He certainly had plans for the next step in his life, and that did not include taking a wife. But one look at the beauty regarding him from across the entry hall nearly changed his mind. Her raven hair was swept up high, secured by pearl-headed combs. The gleam in her lavender-colored eyes could only be called challenging. And the white velvet dress betrayed curves he hadn't remembered. If he hadn't been so determined to play the peer, he might have stared. As it was, he strode forward. "Mrs. Rose, Miss Rose, thank you for your invitation. Happy Christmas." "Happy Christmas, Mr. Mayes," her mother said, forcing his gaze to her. The change in her was even more pronounced. He remembered her round-cheeked smiles, the brambleberry pie she'd encouraged him to gorge on, her laughter at his stories. Now her lamp had dimmed, her body thinned, until she was a shadow of her former self. As if to hide this fact, Mary darted in front of her mother. "Happy Christmas, Julian." She looked over his head expectantly. Had someone else come in behind him? Julian turned but saw only the elderly butler, whose gaze was also high over his head. What had he missed? "Miss Rose." The whining voice made her name sound like a complaint. Chester Godwin wandered out of the great hall. He too had changed since their childhood, but Julian could not admire the new look. Already one shoulder pad was slipping backward, making him appear lopsided. "Miss Rose," he repeated as if he hadn't noticed Julian standing there. "Do come in and save me from these country nobodies." Funny. Godwin had been raised among these country nobodies. It seemed Julian wasn't the only one trying to appear above his station. Mary took the interruption more pointedly. Her eyes flashed as she lowered her gaze to skewer her guest. "I shall be along in a moment, Mr. Godwin." "We'll both come," her mother said. "I believe that's all, Cowls. Join me, Mary." Julian could almost feel the tension in Mary. She seemed rooted to the spot, her gaze veering from her mother to him and back again. The butler moved in behind Mrs. Rose, and Julian realized she sat in an invalid chair. The butler managed the wheeled contraption toward the great hall. Godwin fell in beside it. Still Mary didn't budge. Julian offered her his arm. "If I may." She sighed as if giving up, then put her hand on his. "Thank you. But we must speak at your earliest convenience. Privately." Interesting. From his observations, ladies generally only wanted a private word with a solicitor for two reasons: to get themselves out of trouble or into it. Surely Mary had no need for legal representation. If she had, her mother would likely have hired a more seasoned advocate. That meant she must have something planned for this party. It appeared he wasn't much changed after all, for he could hardly wait to learn what mischief was coming and how he could play a part.